Home Education: A Successful Educational Experiment? This article was first published in Dutch in the magazine Transparent, the Netherlands: issue 3, 2005. An English version was published in ECHA (European Council High Ability) News in the autumn issue 2006. The German version of the article was published in Labyrinth, a magazine for the members of the German Association for Gifted Children, in December 2006 (issue no. 90). The article has also been published in the Mensa Research Journal, Vol. 38, no. 3, Fall 2007, p. 35–39. Home-education has also been increasing in many European countries in the last few years. In Flanders, the Dutch-speaking part of Belgium, 180 children were educated at home in 2001; three years later this number had doubled. In Norway, 50 children were home-schooled in 1996; in 2001 there were 500. In France, about 10.000 children were home-educated (Sperling, 2005). In Europe, home-education brings up many questions because it is relatively unknown. What are actually the results of home-education? This article will seek to provide some answers to this question. Parents choose home-education for many different reasons. Some parents are dissatisfied with the available school education or hold alternative life philosophies than those prevalent in schools. Others believe that the compulsive and classical character of school can stand in the way of child development, or that some children develop behavioural and perceptional problems because they go to school (Sperling, 2005). Home-education, on the other hand, allows education to be fine-tuned to the individual child. Finally, parents may want to spare their children the experience of unwanted ‘peer-pressure,’ teasing, or violence at school. For most people, it is unimaginable that better results can be achieved by leaving education to parents or children themselves. Indeed, many people see school as an essential institution for the healthy intellectual development of the child. Nevertheless, studies confirm that home-educated children on average achieve higher intellectual scores than their school-going age-mates, regardless of whether the parents follow an existing (school) curriculum or whether education is child-led (ACTP, 1997-2001; Calvery et al., 1992; Galloway, 1995; Ray, 1994; Ray, 1997; Rothermel, 2002; Rudner, 1999; Sutton & Oliveira, 1995). Only Tipton 1990 reports no difference in the scores of home-educated children. Some studies have even found that the lead of home-educated children can be considerable. Six-year-olds had a lead of one school-year, which increased during their school career to four years at the age of fourteen. This means that an average fourteen-year-old home-educated child is comparable – in terms of schooling – to an eighteen-year-old who goes to school (Ray, 1994; Ray 1997; Rothermel, 2002; Rudner, 1999). Howard Gardner is Professor of Cognition and Education and wrote over twenty books. He is best known for his theory of “Multiple Intelligences”. Moreover, home-educated children continue to perform better after secondary school than school-taught children; for example it turns out that they cope better with the transition to university (Lattibeaudiere, 2000). A few years ago it struck American university officials that home-educated children achieved better academic results and were more motivated in their studies than children who had gone to school. (4) Many universities, among them Harvard and Yale, have therefore taken specific steps to actively attract homeschoolers. An admissions officer at Stanford University explained: “The distinguishing factor [for admissions selection] is intellectual vitality. These kids have it”(5) (Sperling, 2005). In the Netherlands most home-educated children at the secondary-school level either take state exams to enter university while to following their self-chosen curriculum, attend one year of Open University and transfer to the regular university, or study abroad. Home-educated children prove to have no fewer social skills than children who have gone to school. Several studies show that home-schooled children are on average socially more skilled and more mature than school children (Smedley, 1992). As adults, they report more influence on their surroundings and on their lives, and they have more active social lives than adults who have gone to school (Ray, 2004b). Their satisfaction with their parents’ decision to home-educate is shown by the fact that in one study (n=807), 74% of the home-educated adults also home-educated their children (Ray, 2004b). Home-educated children feel involved in their environment and in society through their personal interests, which they have vast opportunity to develop. They want to fathom everything from politics to history. Through encounters with people from other cultures and with other social backgrounds, they get in touch with many different concepts. Home-education occurs in all social classes, income brackets, cultures, and worldviews (Fortune-Wood 2004). Moreover, school is undeservedly regarded as indispensable to the social-emotional development of children. In his article “Is school really so important to social-emotional development,” Blok concludes, “It is perchance not so obvious that all children profit from school in social-emotional aspects” (Blok, 2004, p. 32). Studies also show that home-educated children develop a more positive self-image than their out-of-the-home-schooled peers (Taylor, 1986). Within developmental psychology, the behaviour of a child with a ‘stable attachment’ towards the parents is seen as most healthy and adaptive. Stably attached children use their parents as a safe base from which to explore the world. Although stable attachment is not a guarantee of a good mental health, it is a protecting factor during times of trouble (Mönks & Knoers, 2004). Home-education is nothing more than a safe base of attachment with the parents, as the child – and later on the youth – explores the world. Considering the deep bond that home-educated children and grown-ups report (Ray, 2004a) it seems that home-educating families have realized a stable attachment. Home-education allows parents to meet the intellectual and social needs of the child, in harmony with the norms and values in the family. It is possible to spend time with inspiring people of all ages, freely chosen by the child, which can withdraw from peer-group pressure, and does not feel divided between the world of the parents and the schoolmates. The child lives in one harmonious world; that of the family and the social environment. Home-educated young people can develop freely without wasting energy on group norms concerning sexuality, alcohol, smoking, dating, dressing, etc. (www.freedom-in-education.co.uk, Ray, 2004b). Home-educated children are not constantly being compared with peers, so they can just be themselves. They are respected for who they are and therefore respect others. Besides good academic and social results, it turns out that home-education has several unexpected advantages. For pupils attending regular school, the income or educational level of the parents serves as a reliable indicator of expected learning performance. It is very rare that students rise above their parents’ level; indeed, this effect has increased in the past 10 years (Verloop & Lowyck, 2003, p.177). With home-education, on the other hand, children achieve a higher than average result, regardless of the educational level or social class of the parents. A long-term study in Great Britain also showed that working-class children who receive home-education scored better than school-going children of professional middle-class parents and that for home-educated children gender differences in the exam results disappear (Rothermel, 2002). Studies also show that there is no difference between the results of home-educated children whose parents have teaching qualifications and those whose parents do not. The reason for these positive results is the much more effective one-on-one instruction or guidance given by motivated parents. Thus the social position or the educational level of the parents is no indication for the performance of the home-educated child. In the U.S., second- and third-generation disadvantaged groups increasingly choose home-education to prevent their children from contact with drugs and criminality, and because of the excellent academic results. It seems as if schools are less able to compensate than are home-educating parents, and thus working-class children are, relatively speaking, better off being home-educated (Basham, 2001; Blok, 2002; Ray, 1997, 2004a; Rothermel, 2002). Another additional advantage is that in my experience – and that of many other parents – home-education is an outstanding alternative for children with different learning styles or needs. Research on why children have difficulty keeping up with the group points to a combination of factors. Most children have several issues to contend with at once, but the school system is likely to single out one problem – such as dyslexia – and focus exclusively on that. Moreover, the goal of treatment is largely to ensure that the child can keep up in class. According to Hallahan and Kaufman (1991, p. 343) there is only a vague definition possible. They argue that children have behavioural or emotional problems if a professional says that about them. A high-spirited child that cannot sit still or keep quiet, risks being labelled hyperactive; of course, this behaviour is very disturbing to the class. Perhaps her temperament is not suited to sitting still and concentrating for a longer period on one task. Perhaps she feels terribly bored or is not mature enough to sit still and learn. The question that emerges is whether this behaviour is caused by personality or by the school situation. With home-education, however, her behaviour is no longer a problem because she does not have to adjust to the demands that the size of the group makes on the teacher. Learning difficulties and behavioural problems often seem to be school related (Armstrong, 2000, p.7). It is therefore not surprising that behavioural problems occur less in home-educated children (Shyers, 1992). Within school, the most effective way to approach learning difficulties is a one-on-one approach (Woolfolk, 2004, p. 126). Learning and behavioural problems often disappear with home-education, as long as one does not follow a fixed curriculum too strictly, probably because of the one-on-one attention and the individualized curriculum. Greenberg (2003) confirms that as of 2003 there has still not been a case of dyslexia at the Sudbury Valley School. These facts endorse the idea that learning and behavioural problems often arise because subjects are offered at an unsuitable moment or manner, in an environment which is not safe for the pupil (Armstrong, 2000, p. 13; Meighan, 2001; Holt & Farenga, 2003 p.167). Home-education is especially suitable for children with learning problems, ADD and ADHD, children who are autistic or inexplicable slow at school, who suffer from chronic diseases, or are physically limited or handicapped. Research shows that learning programs tuned towards the individual, flexibility, one-on-one approaches, and the fact that home-education is very efficient, makes it an excellent choice for special pupils (Ray, 2004b, p.11). Many parents of highly or differently gifted children experience home-education as an excellent form of education. If parents are not satisfied with the school education of their gifted child they look for an appropriate alternative like home-education (Karnes & Marquardt, 2003, p. 601). Access to the Internet opens the door to all kinds of information and resources, and high-ability children can concentrate on a special subject without being forced to stop every fifty minutes to go to another class or limit themselves to the level of the textbooks or curricula (Gallagher, 2003, p.18). Home-education makes it possible to individualize instruction, respecting the principles of a good education for high-ability children. Home-education gives all highly and differently gifted children a chance to flourish in a way that is tuned to their unique needs (Rivero, 2002, p.182-184). The gifted child or youth can quickly become competent in the basics and then accelerate – through instruction by special tutors or mentors – in any area of special giftedness or interest such as science, history, painting, geography, or instrumental music (Ray, 2004b, p. 12). Moreover, home-educated highly gifted children with learning disabilities (twice-exceptional or DME 0Dual and Multi Exceptional) are self-confident students, and although their academic skills may develop at uneven rates, they have usually achieved academic proficiency by high school (Ensign, 2000, p.157). Research results confirm the effectiveness of home-education beyond a doubt: Parents and caretakers who choose home-education create an environment for the child, in which it can develop its abilities in both social and intellectual fields, regardless of the educational level or social position of the parents. Parents who choose home-education are capable of educating their children better than are schools in cognitive as well as social areas. Home-education has proven to be a more than valuable form of education both cognitively and socially (Basham, 2001; Bester, 2002; Blok, 2002; Ray, 1997, 2004a; Rothermel, 2002; Rudner, 1999; Thomas, 1998; Wakelkamp, 1996). She is co-founder of and was active for several years in the Dutch organisation for home educators, De Levenderwijs Club Nederland. She is a published author on the topics Home Education and High Ability in Europe and in the US and a lecturer in Europe. Currently she is a coach and advocate for highly able neurodiverse children, teenagers and adults, who sometimes have dual, mis- or undiagnosed special needs. In this work she emphasises the human side of high-ability with the help of the ‘Solution Focused Change’ method. She does similar work with groups of adults in work situations. Language Editor, Karen MacLean, Ph.D. This video explains how home education is an alternative to school that is growing in popularity and explains away some of the common myths and misconceptions. Basham, P. (2001). Home Schooling: From the Extreme to the Mainstream. Toronto: The Fraser Institute. Bester, D. (2002). Die effek van tuisskoling op die sosiale ontwikkeling en akademiese prestasie van die pre-adolessent. Afstudeerscriptie aan die universiteit van Suid-Afrika. Blok, H. (2004). Is school echt zo belangrijk voor de sociaal-emotionele ontwikkeling? JSW, jaargang 89, nr. 1, p 29–32. Ensign, J. (2000). Defying the Stereotypes of Special Education: Homeschool Students. Peabody Journal of Education, Volume 75, number 1 & 2, 2000 The home Education Movement in Context, Practise, and Theory. Fortune-Wood, M. (2004). Personalised Education Now Research into Home-based Education. Results of questionnaire 1. Print personally handed over at Hesfes 2004. Gallagher, (2003). Issues and challenges in the Education of Gifted Children (Chapter 2). In Colangelo, N. & Davis, G. A. edited by (2003). Handbook of Gifted Education (3rd ed.). Boston: Allyn and Bacon. Karnes, F. A. & Marquardt, R. G. (2003) Gifted Education and Legal Issues: Procedures and Recent Decisions (Chapter 46). In Colangelo, N. & Davis, G. A. edited by (2003). Handbook of Gifted Education (3rd ed.). Boston: Allyn and Bacon. Miller, R. (Eds.) (2000). Creating Learning Communities, Models, Resources, and New Ways of Thinking About Teaching and Learning. Brandon, GB: The Foundation for Educational Renewal. Ray, B. D. (1997). Strengths of their own – Home schoolers across America: Academic achievement, family characteristics and longitu­dinal traits. Salem, OR: National Home Education Research Institute. Ray, B. D. (2004a). Home educated and now adults. 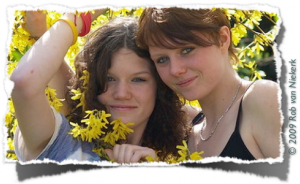 Their community and civic involvement, views about homeschooling, and other traits. Oregon: NHERI Publications. Rivero, L. (2002). Creative Home schooling for gifted children. A resource guide. U.S., Scottsdale: Great potential Press. Rothermel, P. J. (2002). Home Education: Aims, Practices and Outcomes. Working Draft. Presented at the BERA Annual Conference, Exeter, 2002. Smedley, T. C. (1992). Socialization of home schooled children: A communication approach. Unpublished Master of Science thesis. Radford, VA: Radford University. Taylor, J. (1986). Self-concept in home schooling children. Ann Arbor, MI: University Microfilms International. Thomas, A. (1998). Educating children at home. London, New York: Continuum. Wakelkamp, A. H. N. (1996). Een ongehoorde keuze: Huisonderwijs als alternatief naast Schoolonderwijs. Afstudeerscriptie Hogeschool Arnhem Nijmegen. J. Russell, “When Parents are a child’s best teacher, in The New Statesman, 10 January 2005. J. Winkels is director of Landelijke Oudervereniging Bijzonder Onderwijs op algemene grondslag (LOBO, www.lobo.nl). 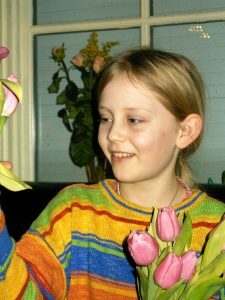 During a phone call on 10-06-2005, Winkels said that in the Netherlands, around 3000 children fall outside the regular school system. Around 1700 children receive home-education through the Wereldschool www.wereldschool.nl ; an unknown number of children are home educated in another way (since they are not registered in any way); and a unknown number of children are withdrawn from compulsory education for various reasons, such as travel abroad etc. R. Winters, “From Home to Harvard: Homeschooled kids have earned a college of their own–and admission to elite, traditional campuses,”,Time Magazine, 11 September 2000, p. 55.C. McCusker, “Homeschoolers Arrive on Campus,” Insight on the News, 19 August 2002. D. H. Pink in Ode nr. 48 (NL).